Some issuers have been offering a new type of security as part of some crowdfunding offerings—which they have called a SAFE. The acronym stands for Simple Agreement for Future Equity. These securities come with risks, and are very different from traditional common stock. Indeed, as the Securities and Exchange Commission (SEC) notes in a new Investor Bulletin, notwithstanding its name, a SAFE offering may be neither "simple" nor "safe." 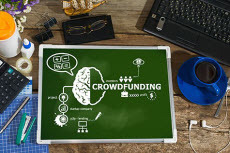 Crowdfunding generally refers to a financing method where money is raised through soliciting relatively small individual investments or contributions from a large number of people. In May 2016, the SEC established rules allowing individual investors to participate in securities-based crowdfunding, as part of the Jumpstart Our Business Startups Act (JOBS Act). It’s important to understand the terms of any SAFE in which you are investing through a crowdfunding offering. Here are five things to know about a SAFE offering. SAFEs are not common stock. Common stock represents an ownership stake in a company and entitles you to certain rights under state corporate law and federal securities law. SAFEs do not represent a current equity stake in the company in which you are investing. Instead, the terms of the SAFE have to be met for you to receive any shares in the company. A SAFE is an agreement to provide you a future equity stake based on the amount you invested if—and only if—a triggering event occurs, such as an additional round of financing or the sale of the company. There is no guarantee these events will occur—and if they do not, you can lose some or all of the money you invested. SAFEs are not all created equal. There is nothing standard or simple about a SAFE. For instance, different companies offering SAFEs use various terms to describe triggering events—and provisions concerning conversion and the conversion price might be subject to different treatment from issuer to issuer. It’s important to read and understand the company’s disclosure regarding the SAFE, as well as the terms set forth in the actual agreement. Understand what triggers the conversion of the SAFE. The SEC notes that the SAFE conversion may be triggered by a number of different scenarios that may—or may not—occur in the future for the company. For example, while one SAFE may be triggered if the company is acquired by or merged with another company, another may have as its trigger an initial public offering of securities by the company. A SAFE conversion may not be triggered. Despite the identified triggers for conversion of the SAFE, there may be scenarios where the triggers aren’t activated and the SAFE is not converted, leaving you with nothing. For example, if a company in which you invested makes enough money that it never again needs to raise capital, and it’s not acquired by another company, then the conversion of the SAFE may never be triggered. Conversion terms.These are the specific terms by which the amount you invested in the SAFE gets converted into equity. For instance, the terms might explain whether it’s just your original investment that converts. Repurchase rights. There may be provisions in the SAFE that allow the company to repurchase your future right to equity instead of it being converted to equity. Dissolution rights. You need to know what happens to your SAFE and the money you invested if the company ends up dissolving. Voting rights. SAFEs do not represent current equity stakes in the company, and so do not provide you with voting rights similar to common stock. But there may be particular circumstances mentioned in the SAFE that allow you a voice on matters pertaining to your SAFE. For more information on SAFE securities, check out the SEC’s Investor Bulletin. To receive the latest Investor Alerts and other important investor information from FINRA, sign up for Investor News.